A lot of people are turning to building their own PC’s these days. With the process being cheaper and easier then ever, it seems like a right time for many to give it a try. Despite what your buddy may have told you, it may not be as straight forward as you would hope. 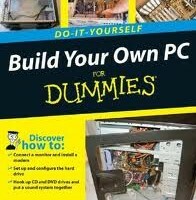 This is not going to be a guide on how to build a PC, just some tips to make your life easier. So, here are the Top 5 things you should know before building your own dream computer. This one seems straightforward, but for many it can cause headaches after the fact. Before going out and buying the components you need, make a list of exactly what your going to be doing with the computer. Things like Web Browsing, Word Processing, Email, Pictures and watching online videos can be accomplished by any modern computer. 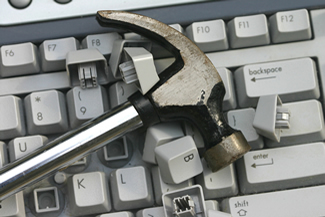 Other tasks require higher-end hardware to work properly. For example, if you are going to game, pay close attention to your processor and graphics card. Photographers should make sure they have a large hard drive and a nice monitor. There are many other situations like these, but to make sure you have you what you need, you may want to consult someone who is well versed on computers. Make sure before buying any particular component that you research it to the best of your ability. Not only do you need to research for compatibility, but for reliability and customer service. One of the down sides of building your own PC is that every part is warrantied individually by a different company. This means that if you buy a part cheap, you may be stuck with problems (and downtime) if the company has bad support. Also, make sure to research to see how well the product has worked for others. Don’t limit that research to user reviews, but also check to see what some of the professional reviewers have to say. In my experience, Intel Processors, EVGA Motherboards, Antec Power Supplies, Corsair RAM and Seagate Hard Drives prove to be very safe choices. There may be others, but those are the ones that come to mind. 3.Be frugal in the right places. When building a PC on a budget, there are some components you should not cheap out on. Most of the time, these are components that are harder to replace, things like the Motherboard, CPU and Power Supply should consume most of your budget when building. Hard Drives, Memory, Optical Drives and Graphics Cards are a dime a dozen and are easy to swap out in case of failure or upgrade. Once you have all of your parts ready, note the serial number and purchase date of the items before installing. This helps if something ever goes wrong and you have to exchange it. Also, keep the boxes around for as long as you can. This seems like a small thing, but when the time comes and you need to return something, you will be happy you saved the packaging. As simple as some part installations may seem, always be very careful. Read those instructions, and if you have a question about something, stop and check the web for help. The most common mistakes people make when assembling their computers are installing the stand-offs for the Motherboard, not seating RAM all the way and not keeping track of what wire goes in what socket. All of these mistakes can be avoided by reading manuals carefully and being cautious. There are many more things that can be addressed,I hope these tips will make your life easier when it comes time to build your new PC. If you still have questions, or other concerns remember to leave a comment down below!